UFO High Bay Light - Indoor - JK TOP-Industrial Co., Ltd.
UFO High Bay Light is for workshop, warehouse, indoor stadium or other industrial place. 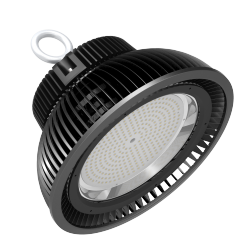 It is an ideal replacement for Induction lamp, metal halide or HID lamp. The pure aluminum heat sink enables the lumen efficacy higher with excellent thermal management in one-piece structure by cold-forging technology. Long life span >50.000 Hours by using high efficient LED chip as the light resource. No UV & IR . It won’t distribute ray radiation Eco-friendly, No Hg & Xe，or other harmful element. Recyclable, also it won’t generate EMI. Microwave motion sensor TUV approaved, Suitable for UFO Highbay 100W, 150W, 200W, 240W. DALI stands for Digital Addressable Lighting Interface and is a protocol set out in the technical standard IEC 62386 www.dali-ag.org. A DALI network consists of a controller and one or more slave devices, LED drivers and Dimmers that have DALI interfaces. The controller can monitor and control each device by means of a bi-directional data exchange. The DALI protocol permits devices to be individually addressed and it also allows multiple devices to be addressed simultaneously via mulitcast and broadcast messages. 1–10 V dimming is one of the earliest and simplest electronic lighting control signaling systems; simply put, the control signal is a DC voltage that varies between one and ten volts. Taiwan MEANWELL driver power supply, high performance external constant current drivers. High efficiency & PF, high quality assurance. 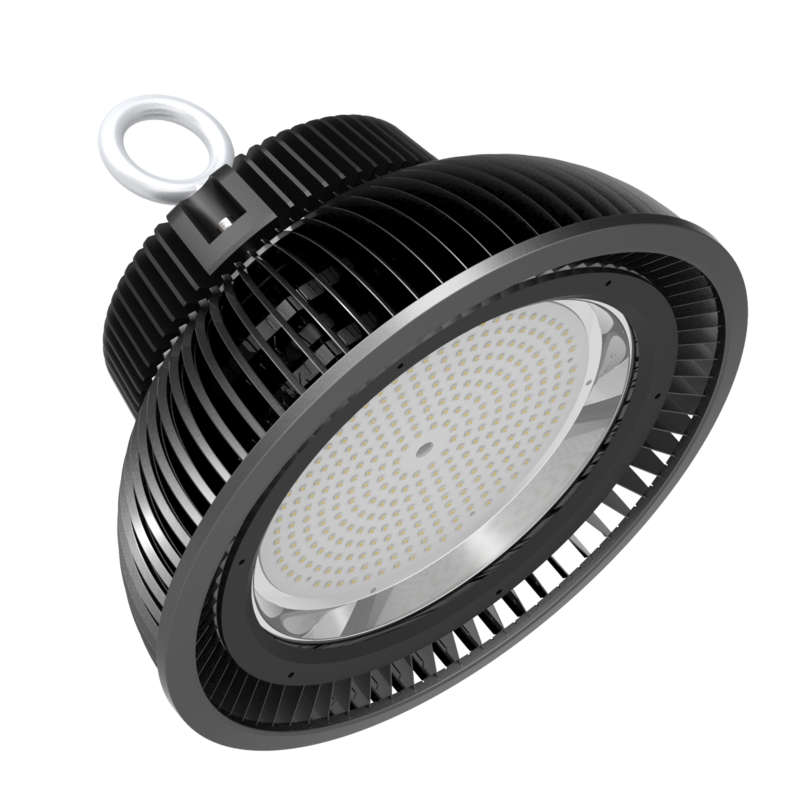 The LED UFO High Bay Light cuts energy consumption in half and nearly eliminates maintenance costs with industry-leading price and performance.